The FOX 50 Heat Flow Meter is an accurate, easy-to-use instrument for measuring thermal conductivity and provides rapid results in a compact footprint. The instrument is configured with the identical high performance features and proprietary technologies of the larger FOX systems including thin film heat flux transducers, digital thickness measurements, responsive temperature control, plus an integrated contact-resistance correction. Covering a wide range of temperatures, the FOX 50 is an ideal choice for measurements of medium-conductivity materials such as plastics, ceramics, glasses, composites, concrete and more. Optional liquid cell for testing of fluids. Powerful WinTherm-50 software for enhanced testing functionality including heat capacity. Optional software for specific heat measurements of solids and liquids. Interfacial resistance correction (two-thickness method). Pyrex reference standards for calibration and verification. 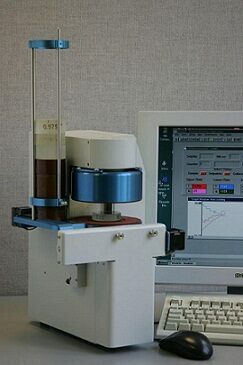 Accurate results can be produced for years between calibrations. 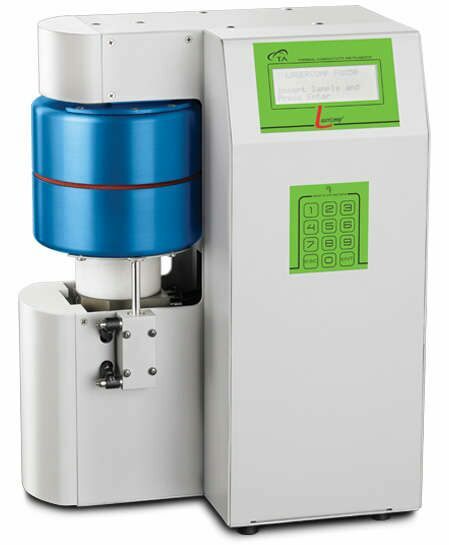 The Automatic Sample Feeder for the FOX50 Series allows to load up to 24 specimens with a thickness of 12.7 mm (1/2″) and 51mm (2″) in diameter for unattended operations. At the end of each run WinTherm 50 software automatically saves the results on a computer. This enables voluminous data to be acquired in a short time yet still in accordance with ASTM C 518 and ISO 8301. The FOX 50 Vacuum features sealed electronics, water lines, and motor shafts for high vacuum operations. The test chamber can also be back-filled with purge gas, and the test environment can be evacuated while the plates remain open. The plates can then be closed according to a user-defined gap or Auto-Thickness protocol. FOX 50 Vacuum is available in both the -10°C to 110°C and -10°C to 190°C temperature versions. The optional 10mm diameter transducer reduces the active measuring area to a diameter of 10mm, so to test samples of smaller than usual diameter. The 10mm diameter transducer option is available for both FOX 50 110°C and FOX 50 190°C models.